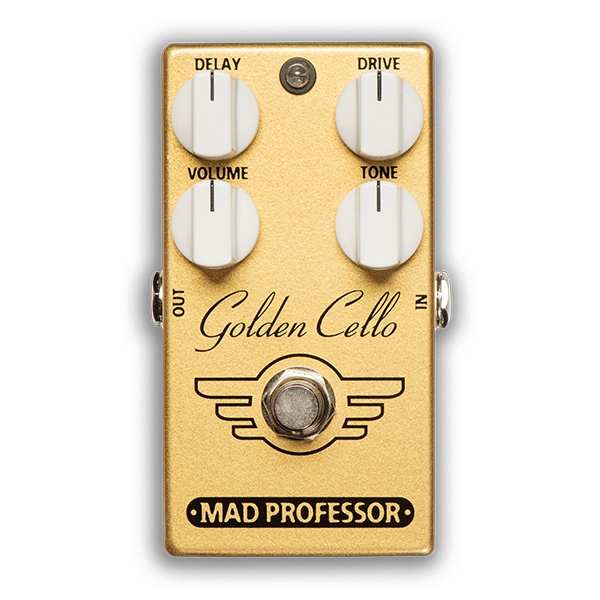 The Golden Cello pedal delivers a huge singing overdrive tone, with high-quality tape echo type delay. To get this kind of tone anywhere else would cost you thousands of dollars and hours of knob twisting. Just plug your Golden cello into your clean amplifier, and you’ll experience, mountainous, juicy lead tone at any volume level that only takes up one space on your pedal board. Sonic perfection is now in your hands and at your feet. Inside the pedal, there are trimmers for delay repeat and delay length (two trimmers, that have to be in balance), and trimmer for the volume into the delay part of the pedal. Complete true bypass and input of circuit grounded in bypass.